Cuba Wedding Resorts – Have a Tropical Wedding in Paradise at the best resorts in Cuba! You might not know this, but Cuba wedding resorts are around some of the most fantastic beaches in the Caribbean. If you’re thinking about having a beach wedding, you might want to take a look at some of the best resorts in Cuba! Visualize yourself at one of the amazing Cuba Resorts. You’re surrounded by your friends and family, on a pristine beach, turquoise water, and luscious vegetation. Ultimately, you will also be staying at luxurious accommodation where you will feel like royalty for the entire trip. Each resort is different, but the amenities and activities will have you and your guests having fun and feeling pampered. Let Liz Moore Destination Weddings help make all of this happen, and it will be an experience of a lifetime. When it comes to booking Cuba for your destination wedding, we highly recommend two particular places. The places we have in mind are Varadero and Cayo Santa Maria. Both of these places have their benefits. Both will provide you with everything you need for your perfect wedding. Liz Moore Destination Weddings experts have travelled extensively to these locations and can guide you to the Cuba wedding resort that best fits your needs. Let’s give you a rundown of what they have to offer. In Varadero, there is something for every member of your wedding party. The beautiful colours, fun activities, and historical attractions will have you always entertained, not to mention the stunning beach! Varadero is the place you want to book for your destination wedding if you are looking for a tropical paradise and immerse yourself in Cuban culture. One of the best things about Cuba is the people. They are excited to show off their rich culture and guide you through the excursions that excite you. If you aren’t sure what you want to do yet, once you arrive at the resort, staff are happy to assist you with any adventure you want! Whether it’s a day trip to Havana, Varadero Museum, Josone Garden, or motorised watersports at your resort! 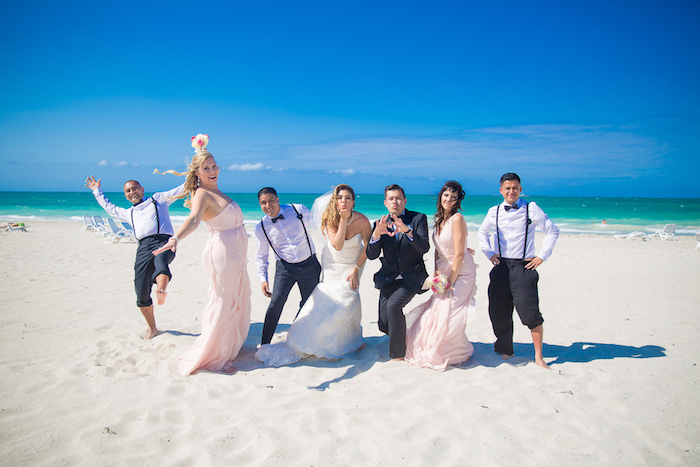 Varadero is a fantastic destination in Cuba that is ready to fill your wedding with fun and adventure. Check out some resort options here! 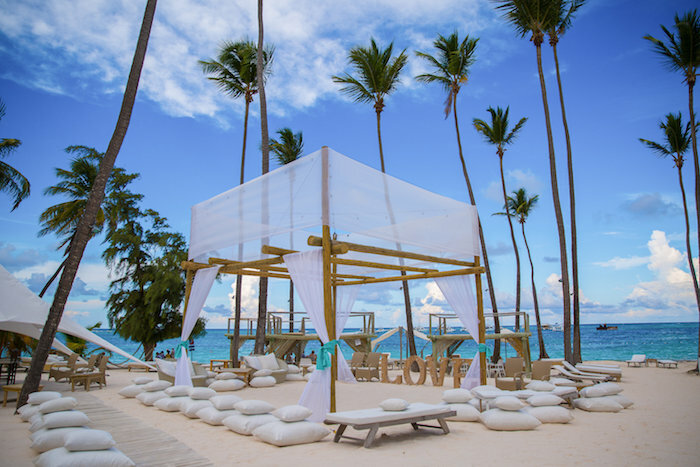 Now, if you are looking for a wedding location that is a little more secluded, Cayo Santa Maria is the place you want to consider. This small island is in the Bahia de Buena Vista, which has one of the most beautiful beaches in the world. So, this is an excellent destination if you are looking for a gorgeous beach! Besides the beach, Cayo Santa Maria has other attractions for your entire wedding guest list. The resorts that are on the Playa Santa Maria strip have restaurants, nightclubs, a bowling alley, and even a local market. Also, this location has plenty to explore. The resorts themselves are very luxurious. Depending on what amenities you are looking for, some of the Cayo Santa Maria wedding resorts have hot tubs on their terrace and private lagoons on the property! This destination location in Cuba is perfect if you are looking for a secluded tropical paradise! Finally, what the Liz Moore Destination Wedding team prides themselves on is their knowledge. They have an array of Cuba wedding resorts for you to choose from and can answer all of those questions you have. All of the specialists have been to these locations and experienced the resorts firsthand. We listen to what you want for your wedding and make it happen for you. If you feel stressed, need a question answered, or want our opinion, our doors are always open for you. Whether it’s day, night, or on the weekends, someone will be able to talk to you about your unanswered questions. So, don’t hesitate to ask and start booking today!